Varied cross-country ski trails wind through farms and open spaces, the edges of forests and streams. Glide through nature until your heart beats really fast. Are you captivated by the sporty pace or the beautiful landscape? That can remain your secret. Whether classical or skating, the Stoos-Muotathal region offers different cross-country ski trails. Here you can do many laps at the same pace, glide smoothly over the snow and breathe in the fresh mountain air. From early in the morning until late in the evening. Night cross-country ski trails in Morschach and Muotathal are floodlit and invite you to leave your tracks in the snow even after the sun has set. 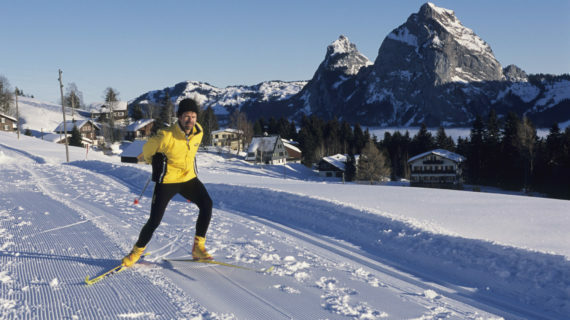 All cross-country ski trails can be used for free in the entire area, with the exception of Illgau (Swiss cross-country ski trail). The snow-covered and varied cross-country skiing trail in Muotathal runs on the southern side of the valley. It winds through farms and open spaces, the edges of forests and streams. It leads over easy and flat terrain. 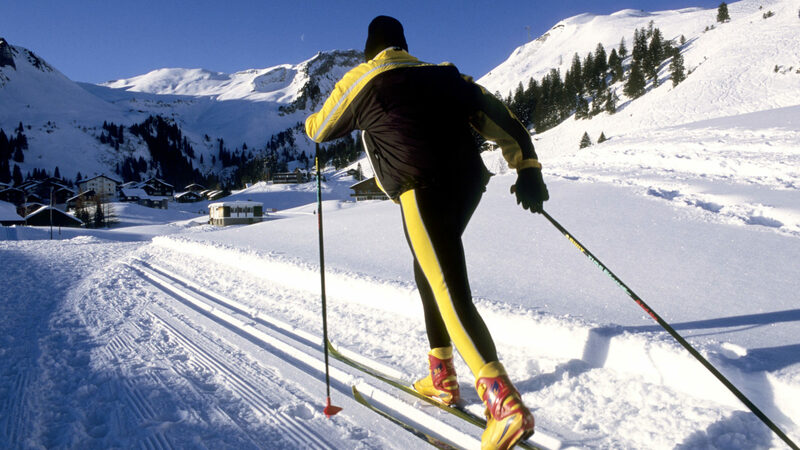 The varied and technically demanding cross-country skiing tail Oberberg, with guaranteed snow, lies at 1,200 metres between the Ibergeregg and the skiing region of Handgruobi. Ambitious cross-country skiers value its topography and tracks for training. 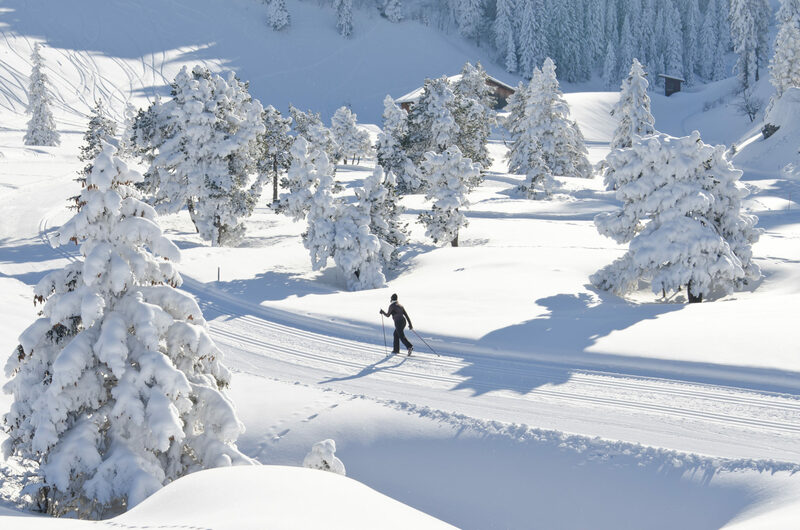 Sporty cross-country skiers usually decide to take the demanding Chruteren trail on the Stoos. 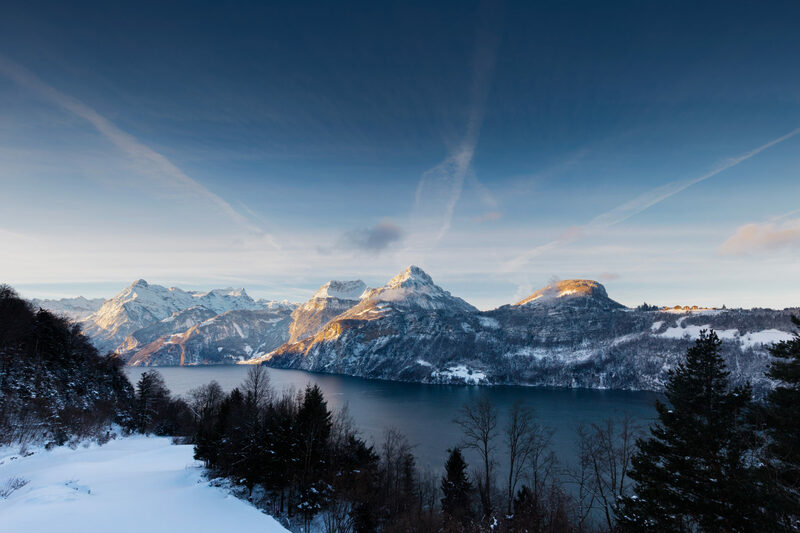 It starts near the village and runs through an idyllic winter landscape, through forested areas and past alpine huts. Enjoy winter by day or night. 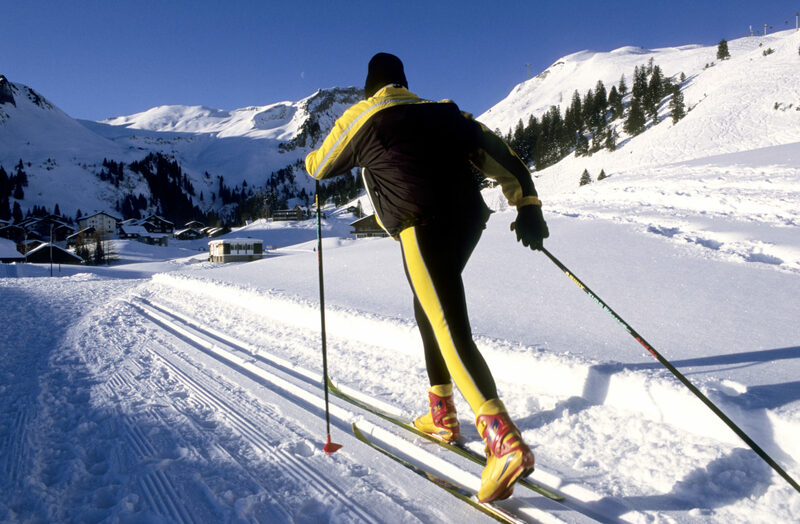 Anyone wishing to train after hours will appreciate the night cross-country ski trail in Morschach. The nigh cross-country ski trail (1 km) is illuminated Mondays to Fridays from 6.00 p.m. – 9.00 p.m.